I LOVE Bones! I've been catching up on DVD - halfway through the second season now and waiting for the next disc. It spoils me, though, because I can sit down and watch 4 episodes commercial free, and then when I am all caught up I'll have to learn to wait a week between eps! Becky: COOL! I just knew it would be cancelled when I found out how much I liked it in the first season. Glad to know I was wrong. I have the first two seasons on DVD, too. I also watch on hulu.com when I get the chance. Really interesting twists in this third season! 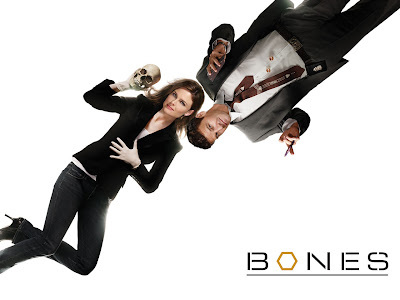 I love Bones!! I'm anxiously awaiting the premiere of Season 4! Bobbi: I adore Bones! 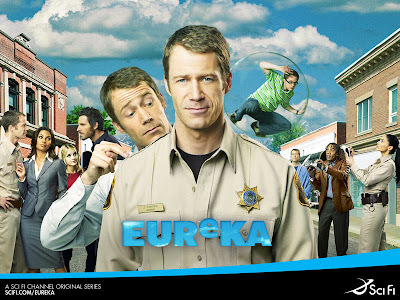 Even if it is only super duper loosely based on Kathy Reichs books, I love watching the chemistry of the characters. I love these two shows also. I am so glad they are on Hulu since I have such a crazy schedule I can't always watch when they are on and I have no way to record them.